The Stained Glass Centre’s Summer Newsletter is now available to download! As well as news of our recent activities and exciting new partnerships, Monika Adamczak reviews our Spring Lecture by Susan Harrison. We also have details of our upcoming events, including August and Heritage Open Days. Friends can download the Newsletter through the Friends Zone. 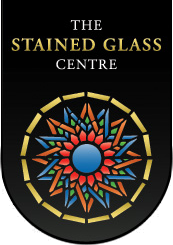 If you would like to become a Friend of the Stained Glass Centre, you can download a registration form here.